See website. Hours change monthly. At the end of a long gravel road that snakes past vines and woodland, you will pass an eighteenth-century log cabin before arriving at a small, wood frame tasting room. It is here that Cavender Creek Vineyards has been pouring wine since 2009. The beauty of the rural estate in the Appalachian foothills near Dahlonega, Georgia is enough reason to visit, but the wine provides another incentive. Owner Claire Livingston purchased this property because it was ideal for viticulture. Vines were planted in 2006 by the previous owner and included Norton, Cabernet Sauvignon, Cabernet Franc and Petit Manseng. Today her winery produces about 1400 cases annually. Winemaker Joe Smith works with several local wineries in either a production or consulting role. At Cavender Creek, he crafts a lineup of excellent wines from the estate grapes and some sourced fruit. I was able to taste through a few of the offerings and all were worthy of note. The Petit Manseng is lightly oaked, which suppresses the floral characteristics along with some of the acidity. The oak does lend a nice mouth feel and mingles with the fruit to make a very approachable white wine. This was the only white I sampled. Cavender Creek is better known for its reds. A light-style, single varietal Cabernet Sauvignon was up first. Mercifully, there was no attempt to imitate a California Cab. The wine had nice fruit and complexity without being a big, “steakhouse” red. It is a very nice example of what Georgia can do with this grape. Other reds were all blends that included different percentages of the estate grapes along with some sourced Merlot. Again, all were well crafted. 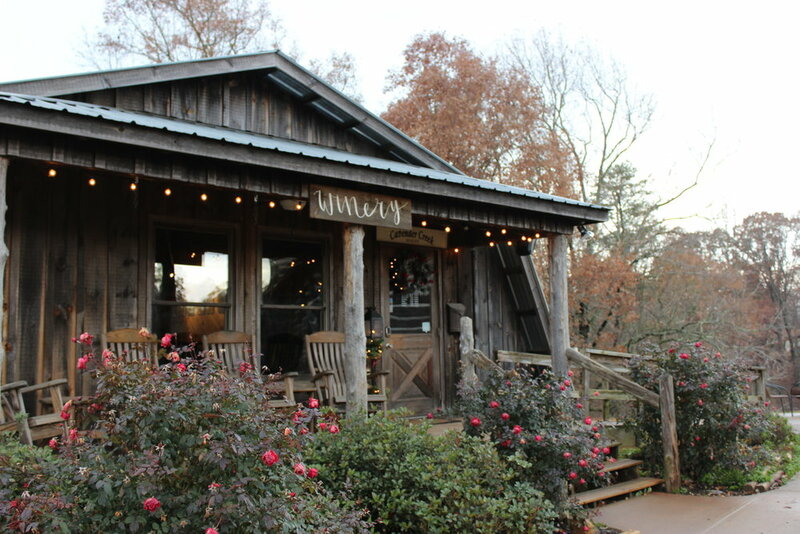 There are plans to expand the tasting room and make it more “event friendly.” Cavender Creek hosts both public and private events throughout the year. Music is a regular feature on weekends, but an event should not be necessary to prompt a visit. The staff was friendly and customer oriented, the wines were excellent and the venue is quite charming. Cavender Creek Vineyards is the whole package. Make a point to stop in and after you do, please let me know what you think. There is a large event center sitting well back from the tasting room. This and reviews in Wedding Wire and The Knot lead me to believe that CeNita is primarily a wedding venue. Despite the poor weather on the day I visited, it is easy to see that it is a lovely property with great event potential. I did not feel that the wine steward was not particularly knowledgable, but he did like to talk. Unfortunately, this detracted from the overall experience. I do feel that CeNita deserves another chance and I will be very interested to hear from others who have visited. 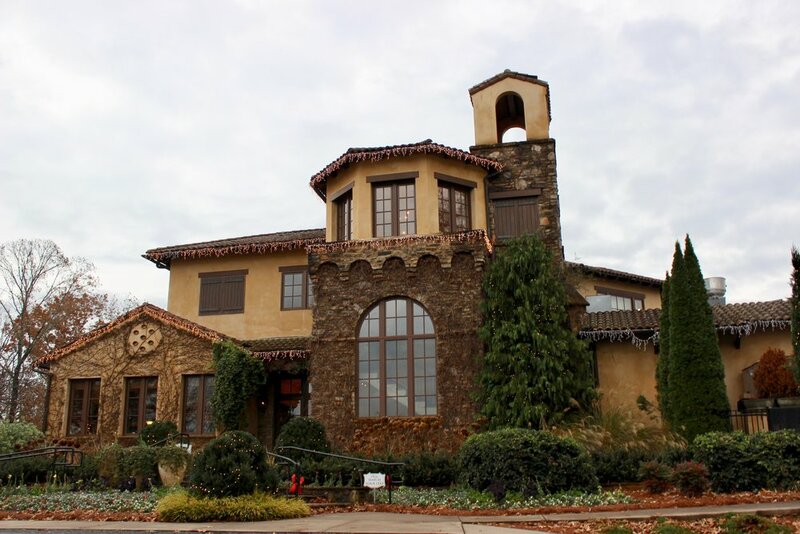 In 1978, when Chateau Elan Winery was established near Braselton, Georgia, consultants were brought in from California. An ambitious program was drafted and 450 acres of vinifera were planted. To put that in perspective, the largest wine growing operation in Virginia is only 200 acres. The viticultural program at Chateau Elan was bigger than anything on the entire east coast. That was problematic. These were still the early days of American viticulture and very little was known about eastern growing conditions. Soil analysis indicated that European varietals might thrive, but everything else about the terroir was wrong. Braselton is not in the mountains, where higher elevation will support vinifera. This part of Georgia is flat, hot and humid. Fungal infections were a nuisance, but could be controlled. The real problem was Pierce’s Disease, which is spread by leaf hoppers. Spraying programs were unsuccessful and a series of west coast and European experts continued to pursue a failing program in vineyards that were slowly dying. The wine lacked any semblance of quality, active acres under vine dwindled to seventeen and the reputation of Chateau Elan suffered. In 2012 the resort leadership hired a new winemaker. Simone Bergese began his career making wine in Italy and Australia, but he also ran a successful program at Potomac Point in Virginia. So he had some east coast experience. 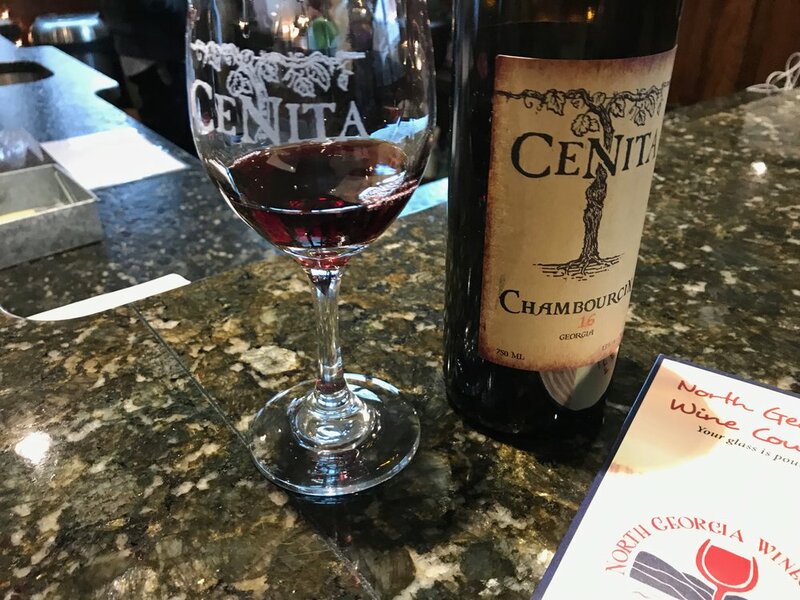 When Simone arrived, he immediately realized that the vineyards were “a dead man walking.” He established a program of sourced vinifera from select vineyards in California. Simone does not use juice or bulk wine. He imports only whole clusters and produces all of the wine on site at Chateau Elan. With the remaining vineyard acreage at Chateau Elan, he took a more radical step. All of the vines were ripped up and replaced with Muscadine. Thomas Jefferson believed that Muscadine might be the future of American wine production, because it is resistant to every disease that plagues vinifera. Muscadine, however, has the unfortunate reputation of being a “southern sweet wine.” Curiously, Muscadine is not inherently sweet. In truth, the grape ripens with high amounts of acidity. Southern producers have traditionally masked that acidity by adding large amounts of sugar so the product can be cloyingly sweet. Simone had a different idea. With the right balance of sugar, Muscadine is capable of dry-style wines. Rather than mask the acidity, Simone uses it in his Muscadry line and balances it with percentages of residual sugar that are one percent or less. Chateau Elan's Duncan Creek offering is the only “sweet” Muscadine wine at five percent residual sugar, but it still retains perfect balance. These are early days for the dry-style Muscadines, but I am of the opinion that the wines show great promise. There is a Muscadine sparkler coming in the near future and Simone is considering a move to entirely organic wines. Of course I had an opportunity to taste the full line of Chateau Elan offerings. I will say that the wines made from California fruit are uniformly excellent. The Pinot Noir Reserve and the higher end Fingerprint Collection are worthy of particular note. I particularly enjoyed the Mameli, which is a blend of Barbera, Nebbiolo and Montepulciano. Simone grew up with these varietals, so it is no wonder that it is the most complex and food-friendly wine in the Chateau Elan lineup. I will be remiss, if I do not say a few words about the Muscadine wines. First of all, because of their bright acidity, all of them will benefit from a food pairing. Unlike most wines, I found that the Muscadine taste profile was less linear and spread out more across the palate, which adds a degree of complexity that I did not expect. All were well crafted. On the nose, I detected hints of berry and something akin to Concord in all of the Muscadines, but the grape juice feature did not carry over to the palate. The Mascadry Rouge is blended with a bit of Syrah and spends a short time in oak to make it a slightly bigger wine. While it drinks well, it is more of a gateway red that will appeal to new wine drinkers without a strongly developed palate. That is not meant to be derogatory, but the red is simply not the same caliber as the higher-end wines made from imported fruit and I think that is by design. In the end, I feel that Muscadine is the main story at Chateau Elan. Simone is singlehandedly rehabilitating the reputation of that grape and his effort may reverberate through the south. The resort and palatial tasting room will draw visitors from nearby Atlanta and the wines will speak for themselves. Great effort has been placed on an educational tasting program, so it is just a matter of time before the word gets out. With regard to the winery, Simone Bergese has taken Chateau Elan to the next level. Something historical is taking place and I strongly recommend seeing for yourself, so we can watch together as Simone’s wine program evolves. After you stop in, please let me know what you think. Sitting high atop the Dahlonega Plateau just north of Cleveland, Georgia, you will find the tasting room for Cottage Vineyard & Winery. The 29-acre property provides a commanding, nearly 360 degree, view of the nearby Appalachian Mountains Chatahoochee National Forest. It is as beautiful a spot as you will find at any winery in the United States. The spot is ideal for more than just growing and serving wine. Owner Jim Penner bought the property after retiring from the Air Force. In tribute to his service and that of others, a military memorial rests on the hillside. In addition, a worship service is held every Sunday morning. I have encountered wineries with a military memorial, but I know of no other doing Sunday church service. Planting began in 1999 and the tasting room opened four years later. Just under nine acres of the estate are devoted to seven different varieties of grape. In order to achieve 4000 acres of annual production, Cottage must source at least 50% of their fruit. I tasted several of the Cottage wines during my visit. Winemaker Joe Smith does an excellent job crafting a wines that will accommodate a range of palates. I really liked the Viognier, which displayed the right balance of fruit and acidity. The Syrah was another standout with it berry nose and pepper notes in a long finish. Cottage also grows a Blanc Du Bois, which I had not previously encountered. The hybrid grape was developed for hotter climates prone to Pierce’s disease. Jancis Robinson considers it a “potentially high-quality” variety. At Cottage it is blended with the Syrah to make a blush. I’m always excited to try something new, so this was a nice added bonus. I very much enjoyed my stop at Cottage Vineyard & Winery. The staff was friendly, the wine was good and the view was exceptional. I heartily recommend stopping in and after you do, please let me know what you think. 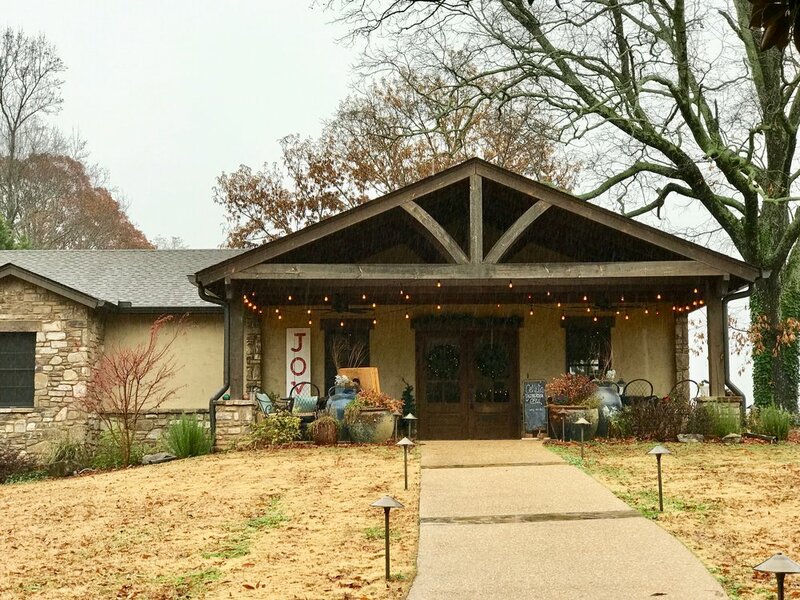 I knew of Frogtown Cellars before visiting. 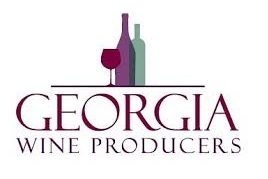 I is one of the few Georgia producers with a reputation for making wines of note. Rather than waste time writing a profile, I will just say that it was the worst winery experience I have had in the decades that I have been exploring east-coast wine. I will never return and I have nothing positive to say about this winery. In the North Georgia town of Helen, sitting alongside the Unicoi Turnpike, you will find the tasting room for Habersham Vineyards & Winery. The winery is reported to be the oldest and largest in Georgia. The tasting room is primarily about pouring wine, but there is a large component that sells a variety of wine swag. It gives the space a slight “souvenir shop” feel, but don’t be put off by that. The staff is excited to pour the wines and the overall experience is as good as or even better than you will find in other local wineries. The winery is a passion project of owner Tom Slick, who also once owned Slick Airlines--that flew exclusively cargo and military charters into the 1960s. The foray into wine is more than a viticultural project. Slick is one of the region’s first and largest advocates of agritourism and this is where he is hoping to establish a lasting legacy. Throughout the region you will see references to agritourism and wine is just one small part of that industry. Habersham has two local vineyards and one in Southern Georgia for a total of 42 acres under vine. Planting took place between 1980 and 1983. Today the three holdings account for 96% of the winery’s fruit. The remainder is Riesling sourced from New York. Recent production numbers have fluctuated, but the winery is currently selling about 8500 cases of wine annually. The winemaker recently retired and the replacement did not meet expectations. So a consortium of local winemakers came together in support of Habersham and produced the most recent vintage. This was something of a happy ending. I tasted about a half dozen of the offerings so I can vouch for their quality. The tasting menu is divided into three parts that correspond with the vineyard where the fruit originated. Habersham Estate and Creekstone are the local holdings and contain both vinifera and hybrids. Southern Harvest grows exclusively Muscadine. I did not sample any wines from the latter. The standouts from the local vineyards were a Seyval Blanc/Chardonnay blend called Chalet White and the Cherokee Rosé made from Chambourcin. I must also mention the Port-style Chambourcin, which was just off the charts. 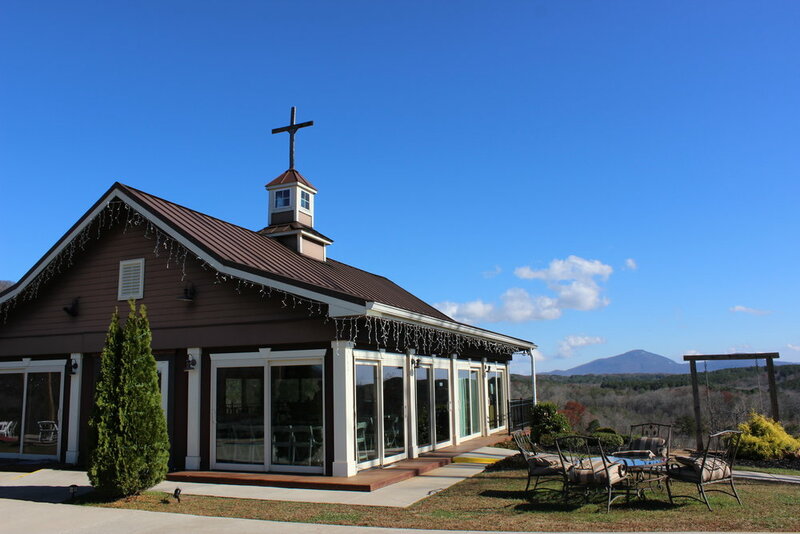 I really like what they are doing at Habersham Vineyards & Winery. If you are exploring Georgia wine or just passing through, it is definitely worth a stop. After your visit, let me know what you think.